Criminal mischief is the legal term for what we more commonly refer to as vandalism. Florida statute defines criminal mischief as the malicious destruction of property that belongs to another person. 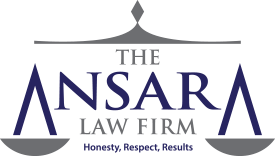 At The Ansara Law Firm, our Fort Lauderdale criminal defense lawyers know most people don’t think prison is possible for property destruction. Plus, the word “mischief” implies it’s all relatively harmless. However, depending on how much damage the action caused, criminal mischief can be charged as either a misdemeanor or a felony, with penalties potentially including jail or even prison. For this reason, it’s important for those facing allegations of criminal mischief to promptly seek legal counsel. The crime of criminal mischief is defined in Florida law under F.S. 806.13 as acting in a manner that is both willful and malicious in causing injury or damage by any means to someone else’s property. The statute specifically indicates that it includes, but is not limited to, the placement of graffiti or other acts of vandalism, which can include breakage, defacement and other types of destruction. The property that was damaged by defendant belonged to someone else/ alleged victim. Damage to property was done with willful and malicious intent. For an action to be “willful,” it has to have been carried out knowingly, with both intention and purpose. For an act to be carried out with malice, it means it had to have been done intentionally, wrongfully, without any legal excuse or justification and with the knowledge that such action would cause damage to someone else’s property. In this case, the type of “intention” referred to here is “general intent.” That means prosecutors need only show that the act was willful and wrongful. They do not need to show “specific intent,” which would mean proving that the act was done with the intention to destroy the property. Put another way, prosecutors don’t need show defendant specifically set out to damage the property. It’s enough to show the property was damaged as a result of a wrongful and intentional act carried out with the knowledge that damage may be caused to the property. Criminal mischief does not involve acts directed toward a person’s body, but rather specifically to the property. So for example, there was an appellate court case wherein justices ruled damage to a phone didn’t meet the criteria for criminal mischief because defendant was acting with malice toward the victim’s person, rather than property. With regard to damage, courts have held that criminal mischief charges aren’t appropriate in cases where there isn’t any evidence of property damage. In one Florida appellate court case, justices ruled juveniles who pulled down a dilapidated fencing to climb over it hadn’t committed criminal mischief because the owner of the fence testified the fence had already been significantly damaged. Penalties for Florida criminal mischief charges will vary depending on the amount of damage involved. The value of the property isn’t a specific element of the crime, but it will be determinant of whether it’s charged as a misdemeanor or felony. Damage to property valued at $200 or less is a second-degree misdemeanor, carrying a maximum penalty of 60 days in jail. Damage to property valued at more than $200 but less than $1,000 is considered a first-degree misdemeanor, punishable by up to 1 year in jail. Damage to property valued at more than $1,000 is a third-degree felony, carrying a maximum penalty of up to 5 years in prison. This is important to note because a strong dispute on the value of the property or cost of repairs can significantly sway the outcome. Our experienced defense attorneys have numerous strategies we may employ to defend a charge of criminal mischief. Damage to property did not result from defendant’s conduct. Victim didn’t in fact own the property in question or it was jointly owned by defendant. Damage did not result from willful action, but rather in the midst of another altercation. Damage was caused by alleged victim’s conduct. There was legal justification for defendant’s actions. Extenuating circumstances excuse defendant’s conduct. Conduct of defendant was necessary to protect himself or others. Defendant’s conduct was not wrongful. Our criminal defense lawyers will help you formulate a solid defense strategy. If you have been charged with criminal mischief in South Florida, contact the Fort Lauderdale Criminal Defense Lawyers at The Ansara Law Firm by calling (877) 277-3780.